Giving your teenagers spending money already hurts your wallet, but just wait until they start driving and you have to pay for insurance every month. New drivers are the most accident-prone demographic in terms of driving, and insurers know that. Since teenagers are four times as likely to crash as an adult driver, their rates are incredibly high. Even with a clean record, it will cost several hundred dollars at the least to insure a teenager. Adding them your own insurance policy is certainly more cost effective, but even then, teenagers can still cost you thousands of dollars annually just to drive. 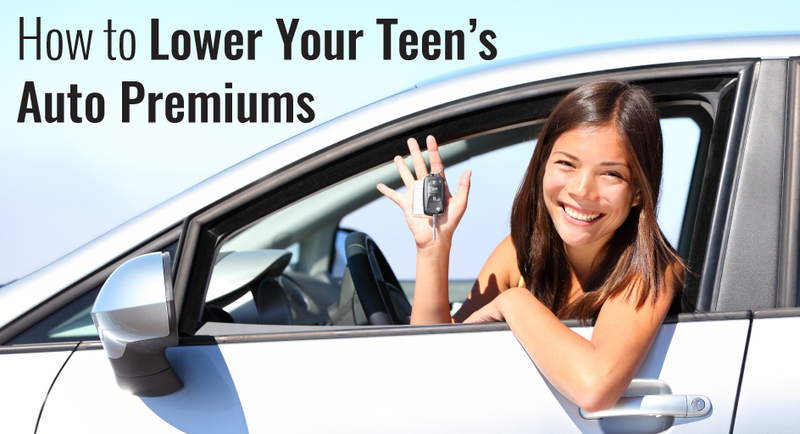 Thankfully, there are several discounts available for teenagers that can make premiums more affordable. If you have a kid in middle school, encourage them to strive for the Honor Roll now. Most insurance agencies will offer a significant discount if your teenager has received good grades in recent years. Typically, as long as your teenager has maintained a B average or better, you can get an academic discount. Some agencies will even allow this discount to continue through college or until they turn 25. It may be up to your teenager to secure this cash saver, but in some cases, their premiums can drop by 25%! If you remember being 16, then you probably remember thinking that you were invincible or a safe enough driver. Unfortunately, it sometimes takes something as extreme as an accident to make new drivers realize the dangers they face on the road. Rather than waiting for a fender bender or worse, enroll your teenager in a safe driving course. Not only can you receive a discount on the insurance, but it may be intense enough to make your teenager reconsider texting while driving. Unless your teenager really deserves a treat, odds are that their first car will not be a new car. Used cars are cheaper and cost less to insure, but if it’s too old, there may be an issue. It can vary by insurer, but cars made after 1994 or so are generally considered safer, which means that the amount you pay monthly is less. There is, however, a balance in choosing cars. Since newer cars feature cameras for backing up and automatic brakes, they are safer than older cars which means you can possibly get more discounts. It comes down to whether or not you trust your teenager more with a 2003 Camry or a brand new Volkswagen. As insurance experts, we can help you choose what the best course of action is and what discounts your teen may be able to receive. Contact us today and see how much you can save!